The 8-hour Continuing Education Program consists of two 4-hour courses prescribed by the Commission which may be taken in any sequence. The primary objective of each Continuing Education course is to provide instruction for changes in licensing rules and guidelines and keep real estate brokers abreast of real estate licensing law. Courses Must Be Taken by June 10. Continuing education must be completed each annual license period between July 1 and June 10. It is very important to note that sponsors are not permitted to offer courses for CE credit between June 11 and June 30 of each year to allow time for sponsors to file reports with the Commission and for the Commission to process such reports. Thus, you will not be able to complete your CE requirement between June 11 and June 30 of each year. Avoid the mad rush at the end of the license period (May and early June). You will have a better choice of elective courses and a better chance of finding space available in either the Update or the Broker-in-Charge Update (BICUP), and the elective courses if you take your CE courses early. You will also avoid the possibility of an unexpected conflict (illness, death in family, business emergency, etc.) preventing you from acquiring the required education by June 10. Extensions of time to acquire CE while continuing on active status will be granted only in those instances where a licensee is unable to obtain CE in a timely manner due to an extreme hardship which existed for a substantial portion of the license period. Examples might include a member of the military stationed overseas or a licensee with an incapacitating illness for a substantial portion of the license period. You should submit the "CE Extension Request Form” (REC 7.18) to the Commission well in advance of the June 10 deadline for CE. Only 4 elective credit hours may be carried forward to the next license period if no portion of the credit hours for the course were applied toward the CE requirement for the current license period. Thus, carry-over credit may be granted for extra elective courses taken, but not for extra hours in one course. If you cancel one of our Broker or BIC Continuing Education Courses, we will be happy to carry your Tuition Fee forward for one year to another CE Course. There are no refunds (no exceptions) for live CE courses. “Walk-Ins” are welcome in our Broker and BIC Continuing Education Courses as space permits. We will charge you an additional “Walk-In” Fee of $10.00 per CE Course. If you are registered for one of our Broker or BIC Continuing Education Courses and you do not show up for the course, you must call our Office at (252) 364-2999 from 9:00AM-5:00PM on Monday-Friday to reschedule the course. State Law requires all Continuing Education Students to attend at least 90% of a 4 Hour CE Course including breaks. CE Students who are absent from the classroom more than 24 minutes will not receive credit for a CE Course. (For example, if a CE Course begins at 8:00AM and you arrive in the classroom after 8:24AM, by State Law our instructor will not allow you to enter the Classroom, and we cannot give you credit for the Course.) We will consider you to be a “No Show”, and you should call our Office at (252) 364-2999 from 9:00AM-5:00PM on Monday-Friday. There are no tests or exams given in any of our live Continuing Education classroom courses. 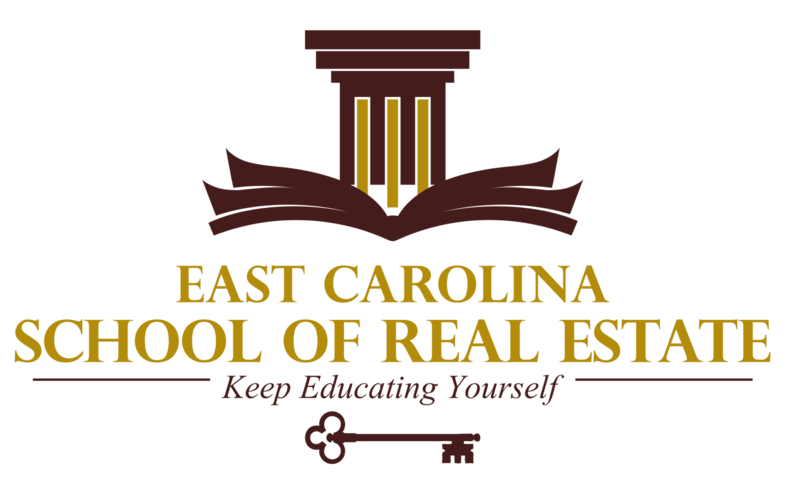 After you have successfully completed one or more of our Broker or BIC CE Course(s), we will report your course completion within seven (7) days to the North Carolina Real Estate Commission that you have successfully completed your CE Course(s). We will give you a Certificate of Completion at the end of your CE Course(s) to keep for your own records.